This interchangeable strap allows you to customise your Bottega Veneta bag. It is designed to pair with a range of new and iconic styles including the Piazza, Loop, Alumna and BV Luna. 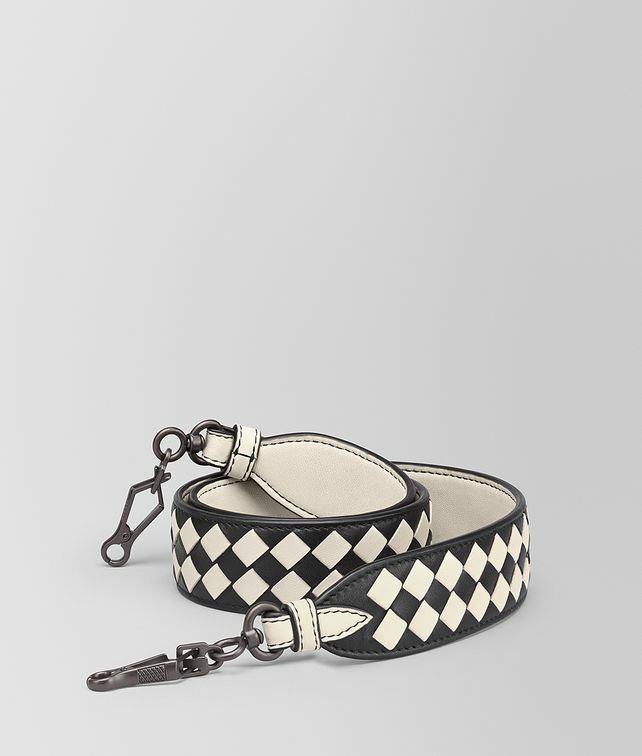 The wide strap is handwoven from soft nappa leather in our intrecciato chequer workmanship. It features brunito-finish metal clips to easily attach it to the bag of your choice. If intended for use with the Loop hobo, a larger hook will be fitted upon request to customer service. Maximum Length: 100 cm | 39.3"
This item is available to pre-order. Your credit card will not be charged until your order has been shipped. The estimated shipping date for this item is: @@ExpectedShippingDate@@. All orders placed and delivered between 19 November and 21 December may be exceptionally returned until 7 January. Orders delivered after 21 December follow the ordinary return policy.